SOTM, October, 2014 | NJNA is Blogging! The October SOTM met today for a “catch up” day for anyone who had not finished the fourth octagon. 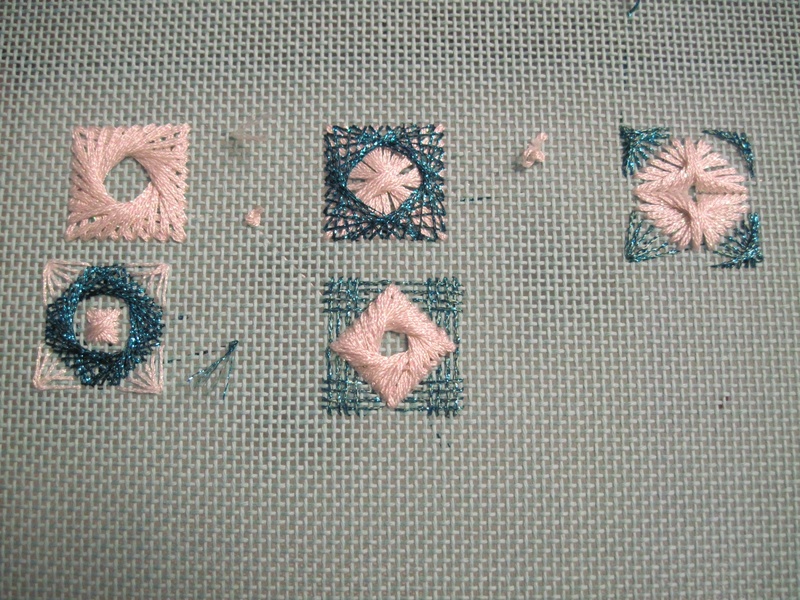 It was a small group of Dee, Linda, Carol, and Sue C. Linda decided that since she had completed her octagons, she would stitch the five small squares on a doodle cloth so that she could see what each square looked like. Fortunately for us, she is willing to share! The squares are numbers one to five, left to right.